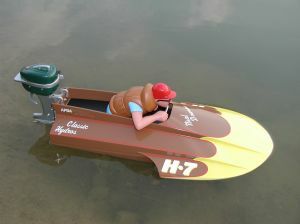 Hurricane-10 Kneeler Hydro by Classic Hydros. 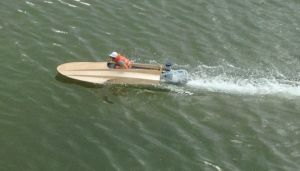 Laser-cut wooden kit is 19" long without outboard attached and makes a great mini RC model. Pictures are for display only. 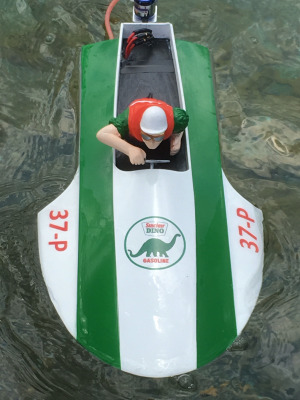 This laser cut wooden boat kit is easy to build with no extra jigs required to assemble the laser cut pieces. 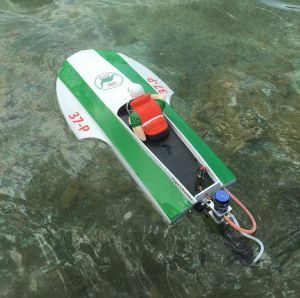 Good for use a mini electric outboard. See link below. Vacuum - formed Outboard cover with laser cut detail parts. Complete step-by-step assembly instructions and drawings. Assembly, glues and paint. Decals not included.